But it turns out this story has been passed down just a little bit incorrectly. It turns out her intentions were not cruel at all. 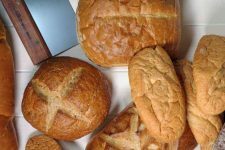 The sweet bread was considered blessed in the Catholic Church, thus Theresa was calling on the Church to feed the poor. But this misinterpretation and misattribution of the story caused a ruckus early on, feeding national hatred for Marie Antoinette. 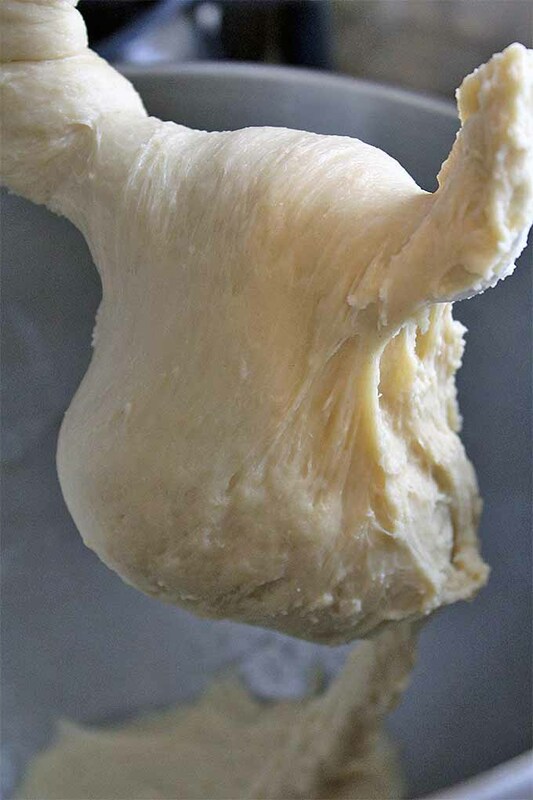 What has not been passed down in error, however, is the technique for making this soft, sweet dough. 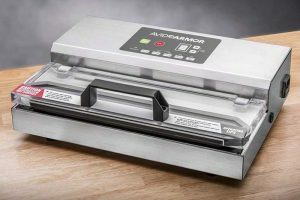 And it’s useful for making a range of pastries: from sandwich loaves to doughnuts, hand pies, and more. Brioche is an enriched bread, meaning the basic bread ingredients – flour, water, salt, and yeast – have been enriched with butter, eggs, and sugar. 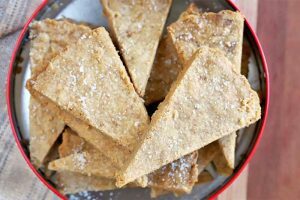 These ingredients give the dough richness in flavor, tenderness in chew, and a soft, sweet outer crust. 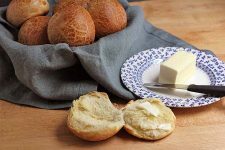 America’s master bread baker Peter Reinhart explains that historically there have been two different types of brioche: poor man’s brioche and rich man’s brioche. The primary difference between the two is the ratio of butter to flour in a given recipe. For more on this topic, check out Reinhart’s wonderful book The Bread Baker’s Apprentice, available on Amazon. These terms used to refer to the difference between the sweet pastry-like bread served in the homes of the French elite, versus the leaner loaves savored by the poor. 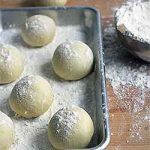 Today many bakers will make just a single recipe and utilize it for a large variety of purposes in the bakeshop – a medium fat to flour ratio works well for both rich pastries and sandwich loaves. 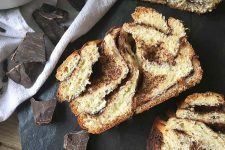 Brioche can be used in such a wide variety of applications. The butter gives the chilled dough an almost claylike texture, making it easy to sculpt and shape into your desired treat. The classic serving is the brioche à tête, a small round roll baked in a fluted dish with a tiny head (à tête) on top. 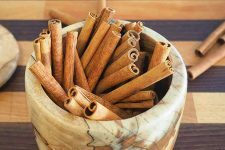 It is often sprinkled with pearl sugar, lending it a sweet crunch. 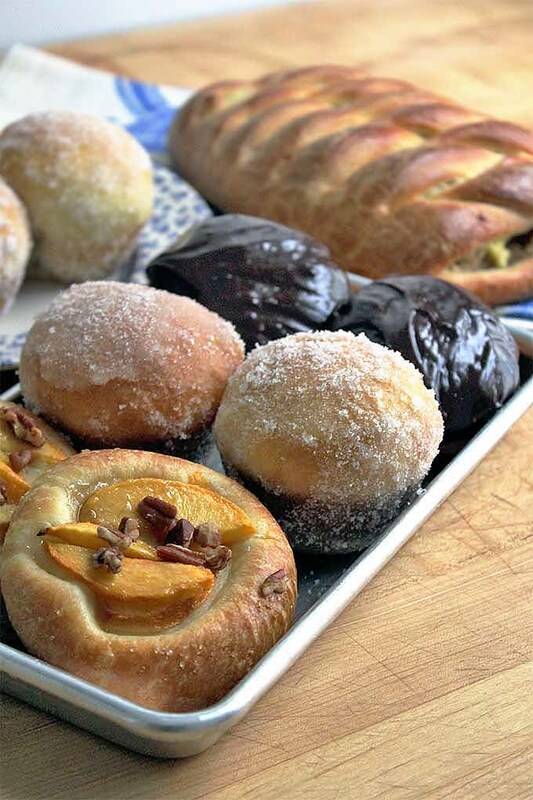 But brioche can be used for myriad purposes – from filled braids and hand pies to doughnuts and cinnamon rolls. Plus dinner rolls, sandwich loaves… the list goes on. Brioche is only limited by your own creativity! Microwave milk for 30 seconds, until it is hot. Let cool until it is 100°F, or just warm to the touch. 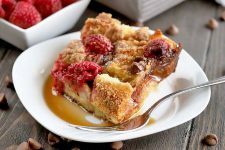 Pour into the bowl of a stand mixer and stir together milk, sugar, instant yeast, and 1/4 cup flour until well-combined. Pour the second half of the flour over this mixture and set in a warm place to proof for 30 minutes. 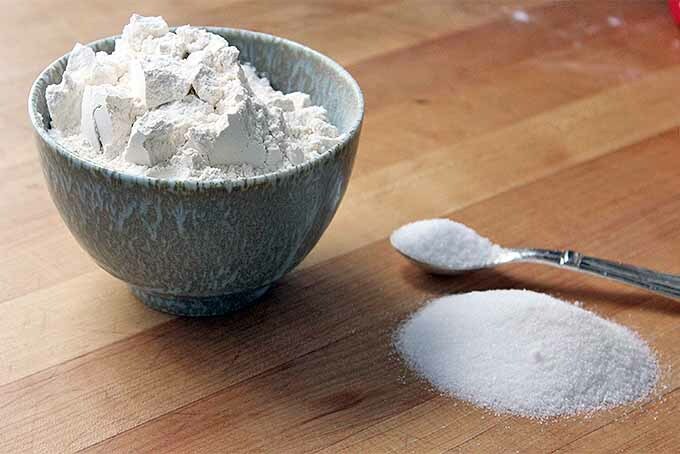 In a separate bowl, mix together the flour, sugar, and salt for the dough. When the sponge has grown so that flour on top cracks, pour the flour mixture over the sponge, then add the eggs. 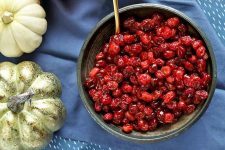 Mix with a hook on medium speed for 15 minutes or until the mixture is smooth and supple, and can pass a windowpane test. Add the butter to the mixing dough in three parts, fully incorporating it between each addition. Once all of the butter is fully incorporated, turn the mixer up to medium-high speed for 3 minutes. 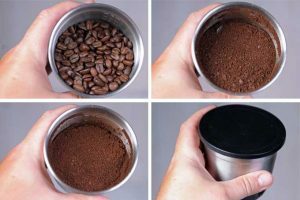 Pour the finished product into a floured container with a sealed lid and let it sit at room temperature for 30 minutes. 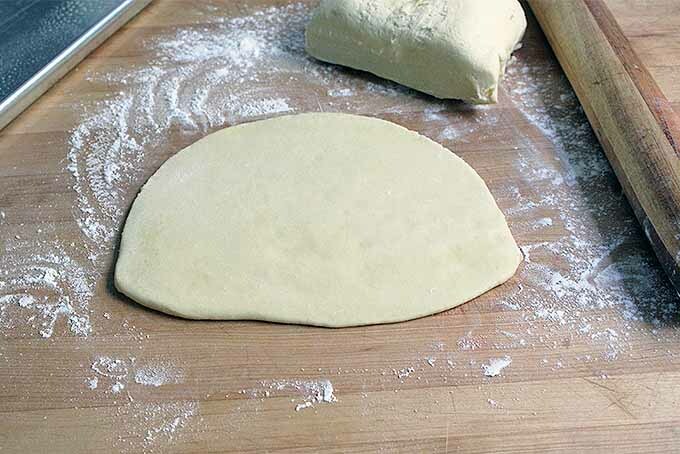 Fold the dough in half vertically, then horizontally. Seal the lid, and place in the fridge for 12 hours or over night. When you are ready to shape, pull the container from the fridge and shape into your desired loaf on a well-floured surface. Let proof at room temperature until the dough slowly springs back when pressed gently. Bake or fry according to the directions for your desired treat. A general guide is to bake at 350°F until the loaf’s internal temperature reaches 180°F. Microwave the milk for 30 seconds, until it is quite hot to the touch. 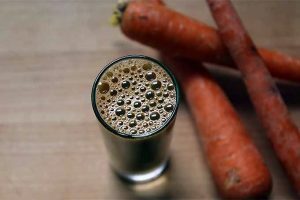 This kills the enzyme in milk that prevents yeast activity. It will need to cool back down to 100°F (just about body temperature) before moving on.</div? 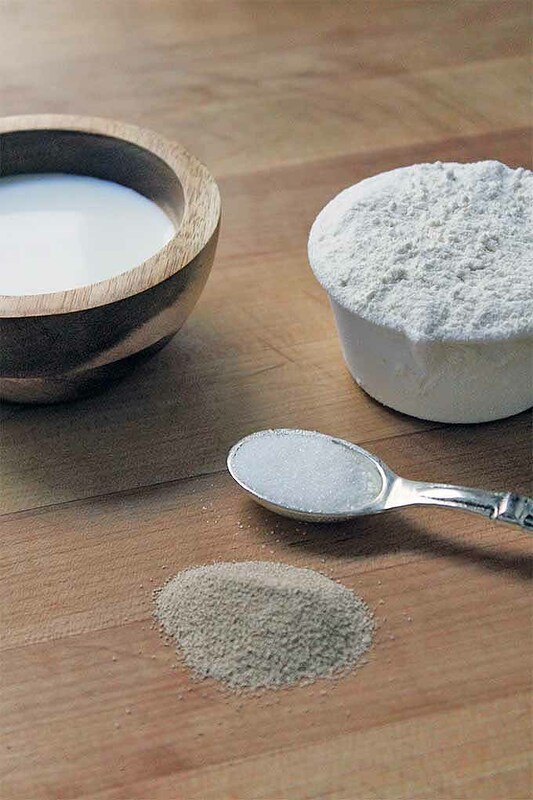 Once the milk is cooled, combine it in the bowl of a stand mixer with the remaining sponge ingredients: sugar, instant yeast, and 1/4 cup of flour. This will form a thick paste. Sprinkle the top of this mixture with the remaining 1/4 cup of flour. Let this sponge sit in a warm place for about 30 minutes to proof. 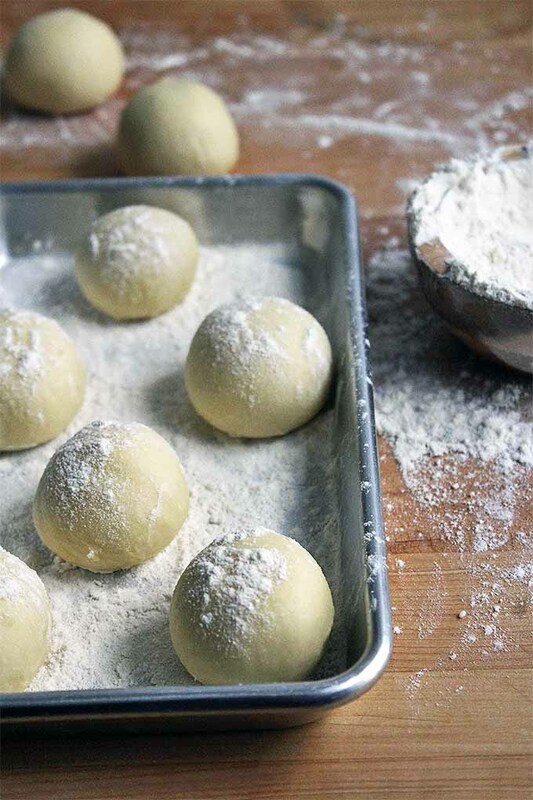 This process helps to wake up the yeast and add flavor to the dough. 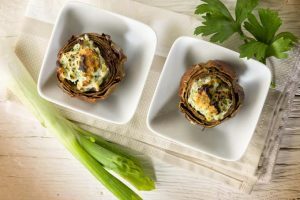 It is particularly useful in recipes with a high fat content. As the sponge proofs, it will begin to rise, forming cracks in the flour on top. Once large cracks begin to form, the sponge is ready to go. 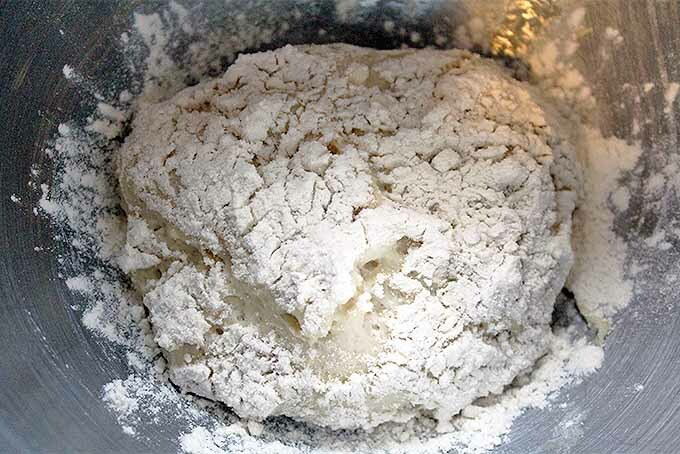 While the sponge proofs, mix together the remaining flour, sugar, and salt for the dough. Once the sponge is ready, pour these dry ingredients over the sponge, then add the eggs. I like to remember the order of operations here by reminding myself it’s a wet/dry sandwich: the wet sponge, then the dry flour, then the wet eggs. 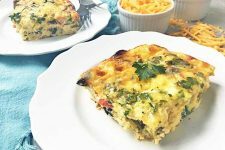 Combining the ingredients in this order helps to incorporate them thoroughly. Mix with a hook attachment on medium speed for 15 minutes. Brioche can really take a good beating when it comes to kneading, so a higher mix speed is helpful. The gluten will not develop any further once the butter is added to the dough, so it vital that it is fully formed during this process. 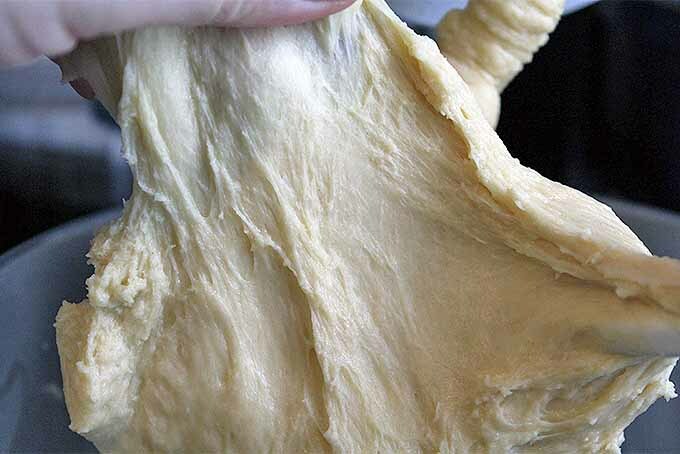 Once the dough passes the windowpane test, begin adding the small pieces of room temperature butter. Add 1/3 of the butter at a time, fully incorporating it into the dough between each addition. 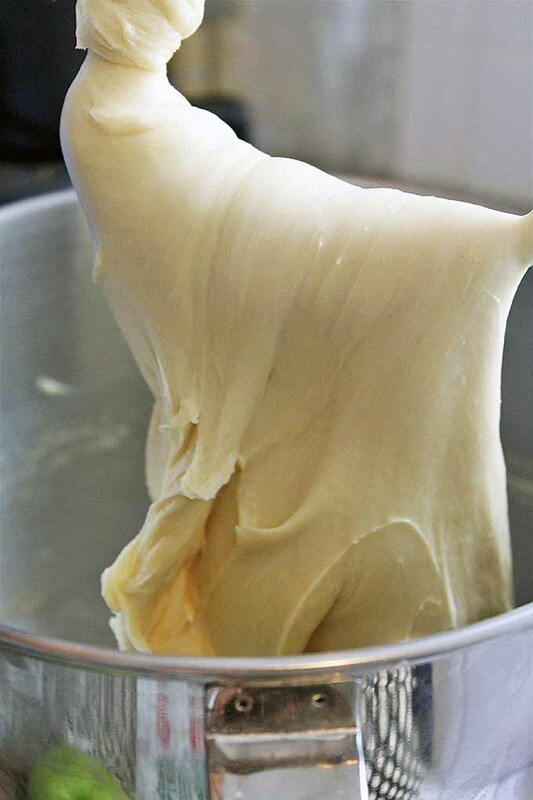 It might look like a gloopy mess at first as the butter smears around the bowl, but as the friction of the mixer warms the butter up, it will begin to emulsify. If the butter starts to clump up around the top of the mixing bowl, turn the mixer off and use a spatula or a bowl scraper to clear it off the sides, and push the dough down towards the center of the bowl. Once the butter appears to be fully incorporated, turn the mixer up to medium-high for three minutes. This will ensure that all of the butter is thoroughly worked into the dough. This step is important because any hidden pockets of fat will create clumps when chilled. Brioche is very sturdy, so just as in step two, there is no need to fear a strong mix. 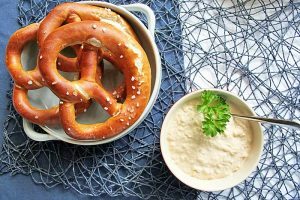 Prepare a container for the bulk fermentation of the dough. I like to use a rectangular, sealable storage container dusted generously with flour. 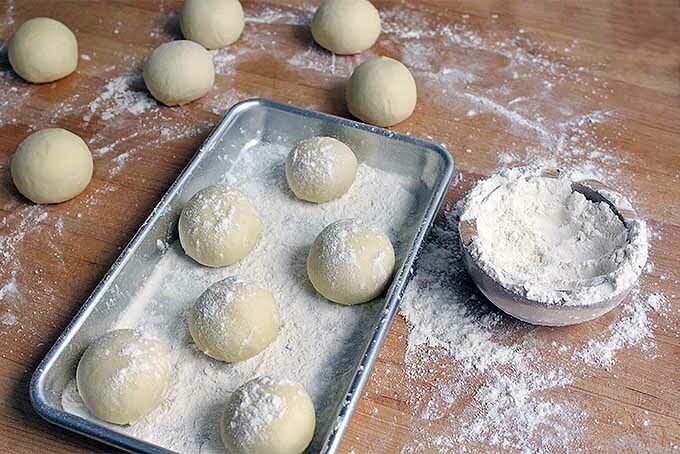 Use a container that is at least twice the volume of your dough, as it will nearly double in size during this phase. Pour into the prepared container. The dough should be very thin, almost like liquid. Let this sit at room temperature for half an hour. Now it’s time to give the dough a final fold before placing it in the fridge over night. Fold in half vertically and horizontally. 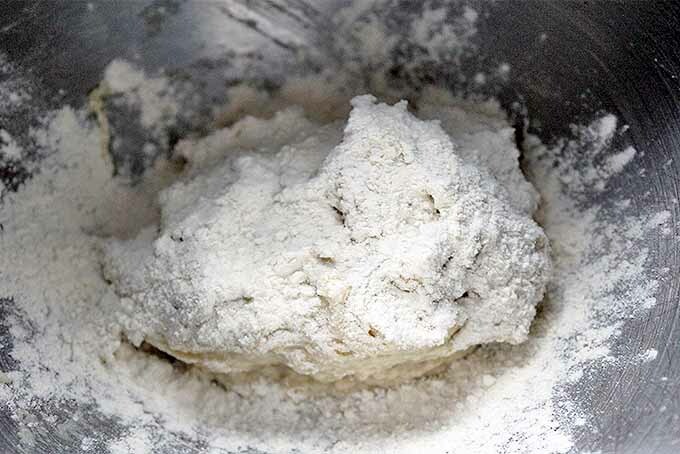 The flour in the bottom of the container should make it easy to pick up the dough and fold it. After folding, seal the lid or wrap the container tightly with plastic wrap and place in the fridge for at least 12 hours, or overnight. 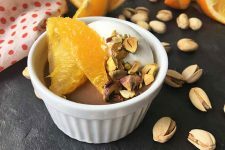 This is the point when you are able to get creative with your treats. Hoping to make doughnuts? 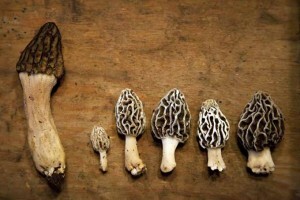 Shape them into two-ounce pieces for frying. Planning on a large loaf? 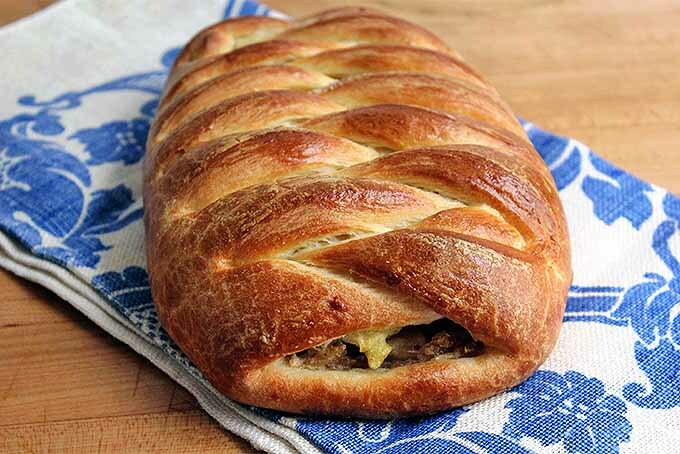 Drop the dough onto the counter and shape into loaf form. 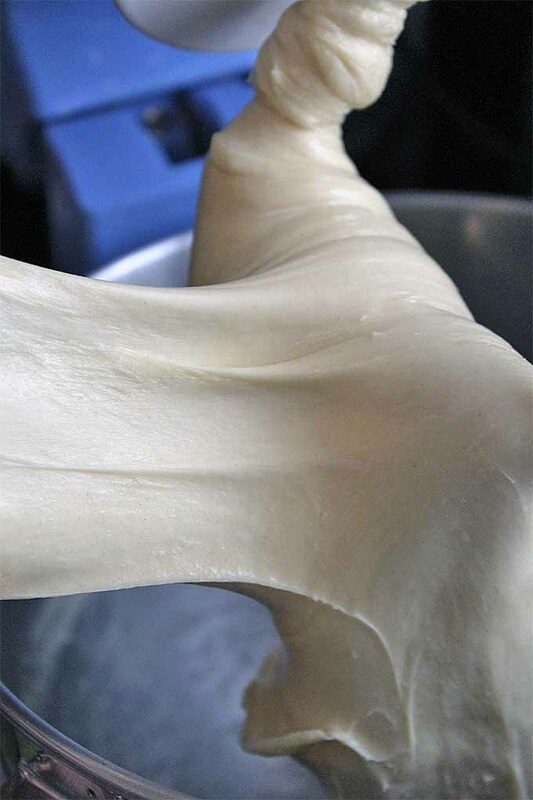 Once you’ve shaped your dough, cover it lightly with plastic wrap and let it sit at room temperature to proof. It’s better to give brioche a longer proof at a slightly cooler temperature than to risk letting it get too warm. If the temperature is too high, the butter will begin to melt, hurting the beautiful shaping you just completed. The brioche is ready when you can touch the edge slightly with your fingertip and it slowly returns to its original form. 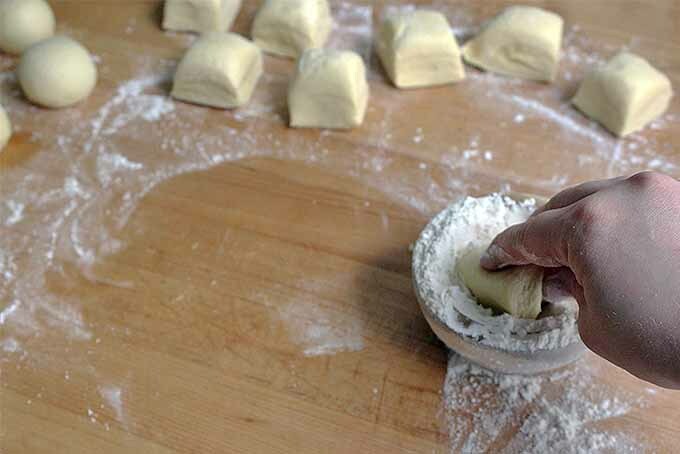 When proofed, your dough is ready to go. 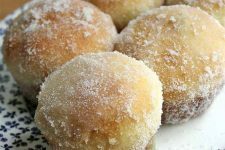 If you’re making doughnuts they can be dropped into the fryer. 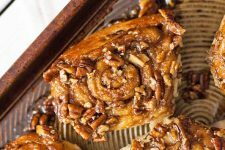 If you are making a loaf, hand pies, rolls, or some other kind of baked bread, bake according to the directions specific to your treat. 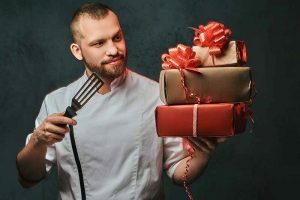 A good general guide is to brush the top with a whisked egg and bake at 350°F until the internal temperature reads 180°F on a kitchen thermometer. Are you feeling just slightly intimidated? Don’t be! If you’re ready to bake brioche goods – or just about any kind of bread – don’t forget to arm yourself with the most indispensable baking tools for any baker. Once you get the feel for things, brioche will be your new best friend. 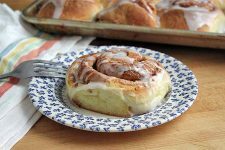 You’ll be mixing a batch on the regular, whenever you’ve got the hankering for a special breakfast treat. 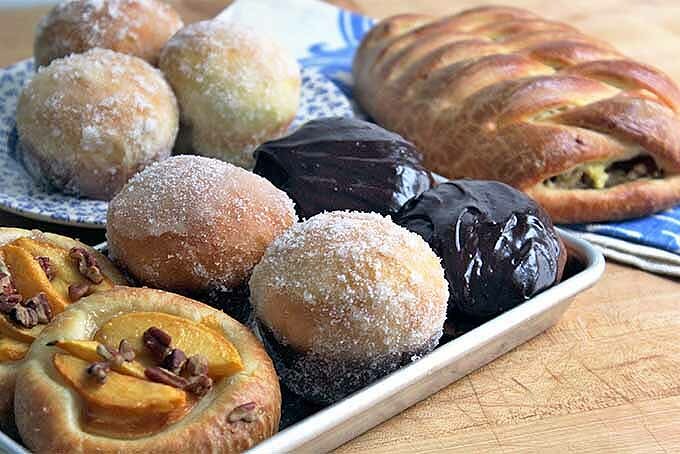 Do you have a favorite way to serve brioche? What about a special memory of your favorite buttery French treat? Let us know in the comments below! 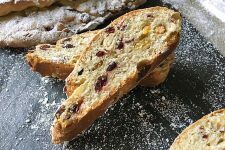 And don’t forget to to check out all of our bread recipes and our baking tips now!